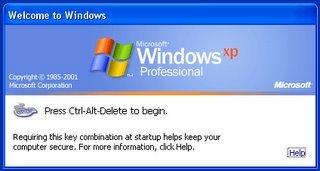 A few months back I remember my buddy pressing Ctrl-Alt-Del to unlock a Windows XP server. Problem was that he was using the keyboard of an adjacent Linux mail server...As many of you might know pressing Ctrl-Alt-Del on Linux causes the system to reboot. However one may disable this possibility of using the Ctrl-Alt-Delete command tor reboot your Linux machine. This is pretty important if you don't have the best physical security on the box.